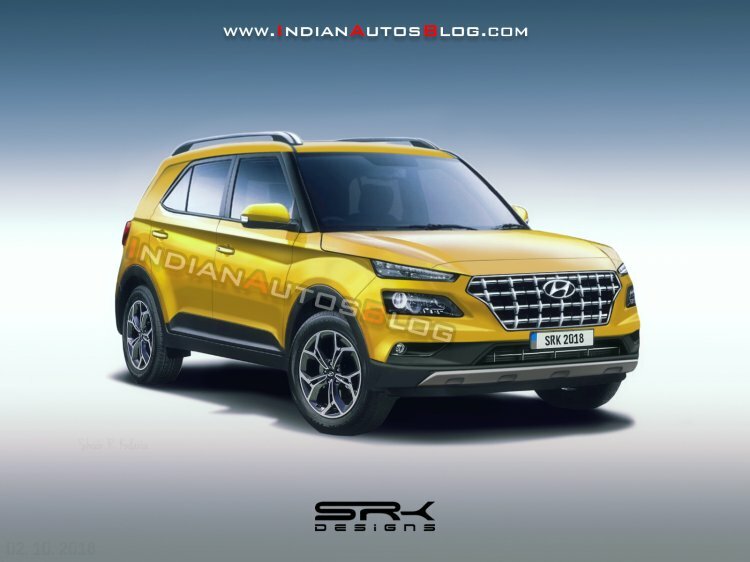 Having sold over 3.3 lakh units of the Hyundai Creta, the country's second largest car maker is gearing for what it hopes will be its next blockbuster, the sub-4 meter Hyundai QXi (codename) reportedly called the Hyundai Styx when launched. IAB's rendering of what the Hyundai Styx would look like when launched in Q1 2019. The Creta's segment in mid-2015 (when it was launched) was nascent with the Mahindra Scorpio and the Renault Duster fighting for the top spot. Hence, when a well engineered and feature-packed product such as the Creta was launched, it was not really a surprise to see buyers queue up. The case is different for the upcoming Hyundai Styx as the sub-4 meter SUV segment has formidable rivals already selling in record numbers. The product to beat is the Maruti Vitara Brezza, which albeit being a diesel-only SUV is the segment leader selling nearly three times as much as its closest rival. Hyundai is confident it can offer all the value traits of the Creta in a smaller and more affordable vehicle. The company has a well thought of, structured approach towards this. It first aims to give the Styx a typical SUV design to grab the attention of the audience. Hyundai has seen the Creta sell consistently well, its design being one of the chief contributors. 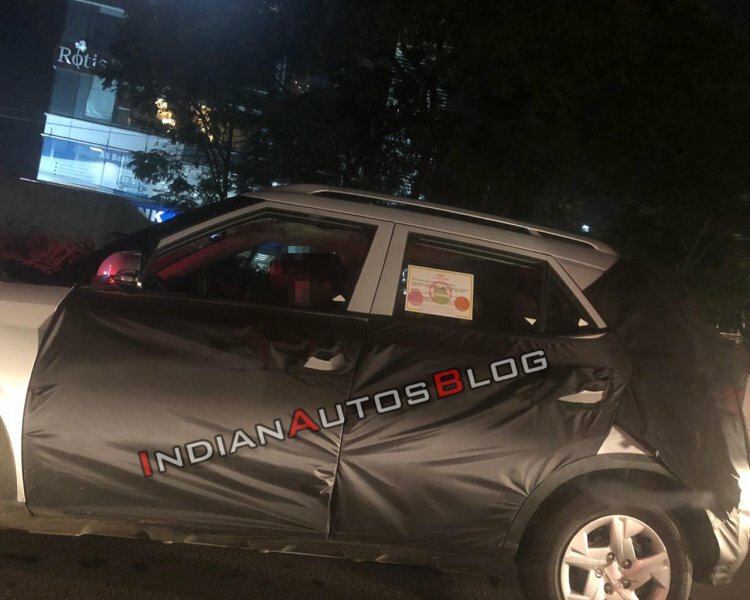 The Styx, as seen in spyshots, is designed to appear like a mini Creta with its cascading grille and composite lights with LED daytime running lights. Next up, when prospective buyers get inside the Styx, they will be impressed with the feature list and overall fit and finish. Speaking to IndianAutosBlog, Mr. Puneet Anand, Sr. General Manager (Marketing) & Group Head, Hyundai Motor India Ltd, confirmed the inclusion of "best and the first in the segment" features which are likely to include a high end touchscreen system with Android Auto, Apple Car Play, an electric sunroof, a wearable fitness band which doubles up as keyless entry, and wireless charging. The Hyundai Styx will debut new engines from the brand, the 1L T-GDI petrol and 1.5L diesel will later be seen on the Verna and new Creta. The Hyundai Styx is expected to debut all-new petrol and diesel engines which are expected to better the current range of Hyundai engines on the refinement and power delivery front. The petrol is expected to be a 1.0-litre T-GDi turbocharged version with 118.31 hp and the diesel is a new 1.5-litre with a maximum output of 115 hp. Further, automatic transmissions will be offered on the Styx possibly by way of the Smart Auto AMT seen on the new Hyundai Santro. With a strong design language, well-built interiors, a long feature list and modern and powerful engines, Hyundai hopes it will recreate the Creta's success in the compact segment. The Styx will be launched in India by end March 2019. It is expected to cost from INR 7 lakhs, ex-Showroom rivaling the like of the Vitara Brezza, Tata Nexon and Ford EcoSport.